I'm experimenting with SLAM for the first time. I am using ROS on a Turtlebot3, which has a Raspberry Pi and a single Lidar sensor, Robotis LDS-01. I am running a configuration with three computers, the Pi, a computer running just Roscore and a computer where I do my development. I have a very simple maze set up covering around a 3x3M carpeted area. I am using gmapping to make the map. As I am a remote worker, I've not had an "expert" looking over my shoulder although I am very active on boards to ask questions. My experience with SLAM is that I am not impressed with the results so far. I've been following these instructions from Robotis as a starting point. 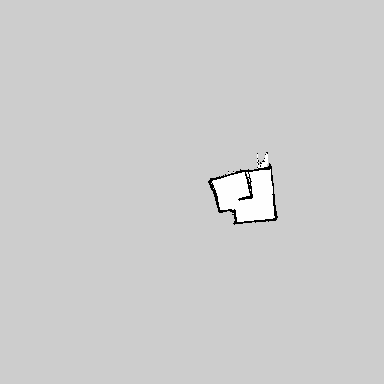 I run gmapping and traverse the maze completely and do get a map that is pretty accurate although the resolution is I think 5x5cm by default so its a little rough. Its super simple. the robot moves in fits and starts. Sometimes stopping for a few seconds, sometimes repeating the same motion over and over again, and in general not being smooth. Does it sounds like I have a setup problem fundamentally? Is this just what you get when you use just LIDAR? Is my maze too small? Is this because I need to "tune" my SLAM? [ WARN] [1535381132.180568313]: DWA planner failed to produce path. [ WARN] [1535381132.575722364]: Rotate recovery behavior started. Your lidar has a minimum range for 12 cm, which means your maze corridors should probably be double that range (for either side of the sensor), plus the width of the sensor itself, which is 9.5 cm. That is, if your maze corridors are narrower than (12 + 12 + 9.5) = 33.5 cm, you're likely operating inside the minimum range of the scanner and may not be getting valid data. If you are using the default value here, then it seems that the left wall would get a 0.55 meter buffer, the right wall would also get a 0.55 meter buffer, which now means your navigation algorithm might not let you pass through a corridor that's less than 1.1 meters wide. The radius of the robot in meters, this parameter should only be set for circular robots, all others should use the footprint parameter described above. The footprint parameter's default setting is empty , meaning the Costmap2DROS defaults to assuming your robot is (2*0.46) = 0.92 meters wide (that's robot radius), which compounds with the obstacle dilation described above, to where now your navigation system might think your robot won't fit unless the corridor is (1.1 + 0.92) = 2.02 meters wide. Even at that point, it could consider the corridor to be a "tight fit" because it would believe the sides of your robot are scraping the walls. A relatively straightforward test would be to check and correct the robot_radius parameter, or disable it by entering values for the footprint parameter, then try setting the inflation_radius to zero or something close to zero. If this doesn't work, please edit your question to post the local_ and global_costmap settings and then please also provide a dimensioned drawing (sketch, etc.) of how your maze is actually arranged, along with the coordinates you're asking the robot to maneuver to. FYI, if the image you've posted of your map is exactly your map, you've said (with your map.yaml file) that the bottom-left pixel is -10 meters, -10 meters, and each pixel is 5 cm. This means that the coordinates of approximately the middle of the top-left chamber in your "maze" is (1.6, -0.35), the center of the top-right is approximately (3.05, -0.05), and the center of the bottom chambe is approximately (2.8, -1.35). Again, all these dimensions are in meters. I don't know if these numbers sound correct to you or not, but this is how you've defined your map. This may or may not be contributing to the navigation trouble. Not the answer you're looking for? Browse other questions tagged ros slam lidar or ask your own question. Can mapping be done in real life applications without also solving the localization problem at the same time (i.e. SLAM)? Are there any advantages to using a LIDAR for SLAM vs a standard RGB camera?